Rosie O doesn't 'do' kids birthday parties, she creates moments of magic and wonder for children of all ages. When you book a Rosie O Party you will get the best Kids Birthday Parties in Perth. Music, entertainment, games & prizes, balloon twisting and fairy floss, bouncy castle and Tunnel of Bubbles. You can have a Kids party that will have your guests entertained for hours. Do you want to design your own? Rosie O Face painters can help you with that too. If you need ideas for your Kids Party we are here for you. Face Painting party with a bit of craft? Craft Party with Balloon Twisting? Fairy Floss and Slushie Machine? Rosie O Face Painters offers Kids Birthday Parties in Perth and all over Western Australia. 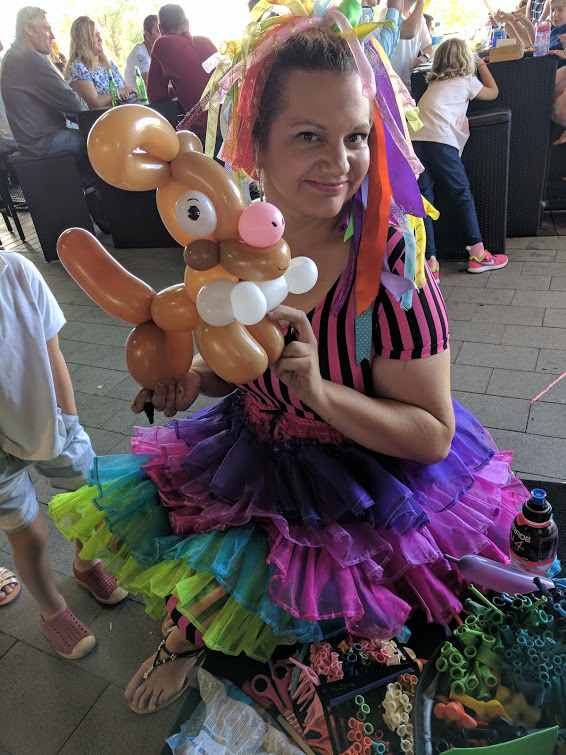 No matter your age, No matter your location, give Rosie O Face Painters a call today for the best Kids Birthday Party in Perth. Read Rosie O’s tips on planning your next kids birthday party. Rosie O Arty Party, Hat decorating, Bathbomb Blitz, Badge making, Plaster painting and more….. Bubble mayhem with the Bubble tunnel and tons of bubbles. Need some advice? Get in touch with Rosie. Please let us know which of our amazing services you are interested in.